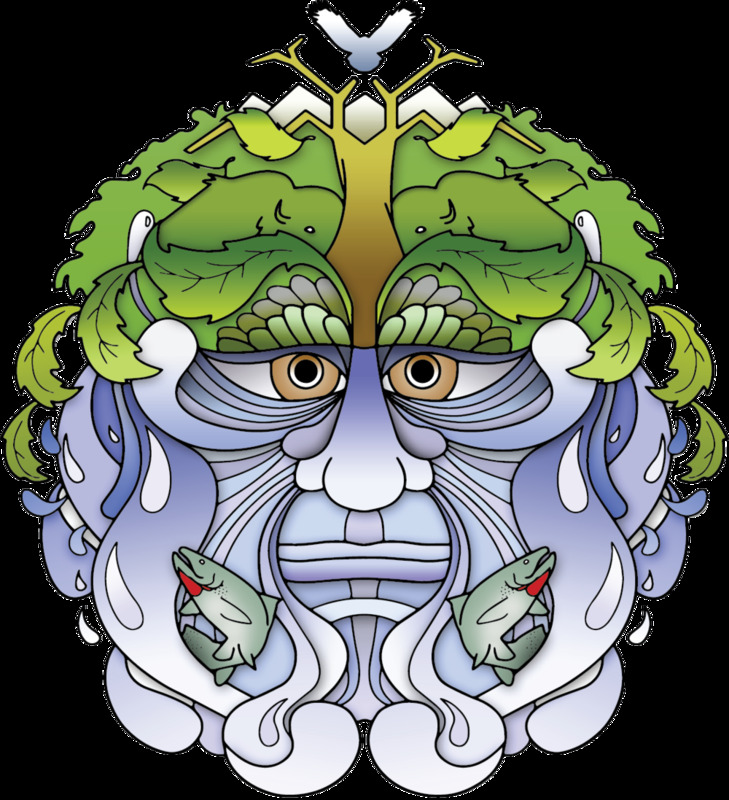 The Oldman Watershed Council has a number of resources available for use by local educators, including an interactive puzzle, water cycle and watershed models, and books. OWC is also pleased to support the following educational programs; contact OWC’s Education Program Manager for more information. This contest asks students in Grades 7-12 to submit a proposal answering the question, "What can you do to improve your watershed?" Cash prizes are available, as is funding to implement students’ ideas! Deadline to apply is March each year. Contact OWC's Education Program Manager for a free classroom presentation or for more information. Project WET Canada offers training and resources so educators can deliver fun, hands-on water education programs to K-12 students. To set up a training workshop, get in touch! Beauvais Lake Provincial Park offers numerous curriculum-based school programs for elementary through high school. Alberta Environment and Parks has a number of education resources available to order or download. Nestled in the valley along the Oldman River in Lethbridge, the Helen Schuler Nature Centre offers school programs and group tours. Based out of Calgary, RiverWatch students learn about their local river ecosystem on a rafting trip. Help keep our neighbourhoods and Oldman River free of debris, healthy and clean. A City of Lethbridge initiative. A City of Lethbridge initiative that encourages residents to keep their stormdrains and gutters free of debris. A new mobile app focused on safety related to hazardous liquid waste. By Joan Rodvang McNeil (LandWise Inc.) and Dr. Cathryn Ryan (Geoscience, University of Calgary). An Alberta guide to federal, provincial and municipal responsibility. This publication contains over 195 pages of information on laws, policies and regulatory processes that can affect Alberta's wetlands. Albertans’ Values and Attitudes toward Recreation and Wilderness. A survey by the Canadian Parks and Wilderness Society. How Canada will privatize our public water systems. How much of planet Earth is made of water? See for yourself! 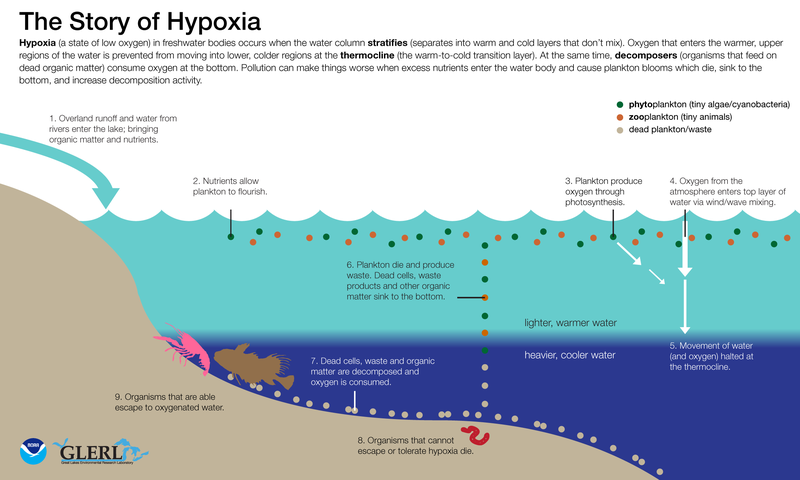 A diagram of what happens when freshwater bodies are in a low state of oxygen by the GLERL.